Madteo - Scientrysts. Vinyl EP. Bleep. 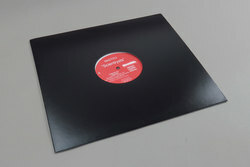 Madteo knocks out more hits from the 1 dollar wax bins with Scientrysts, four tracks from one of the most syrupy artists operating on the fringes of trip-hop, house, dub and hip-hop. Killer!